Adam & Anna’s wedding was amazing to photograph! 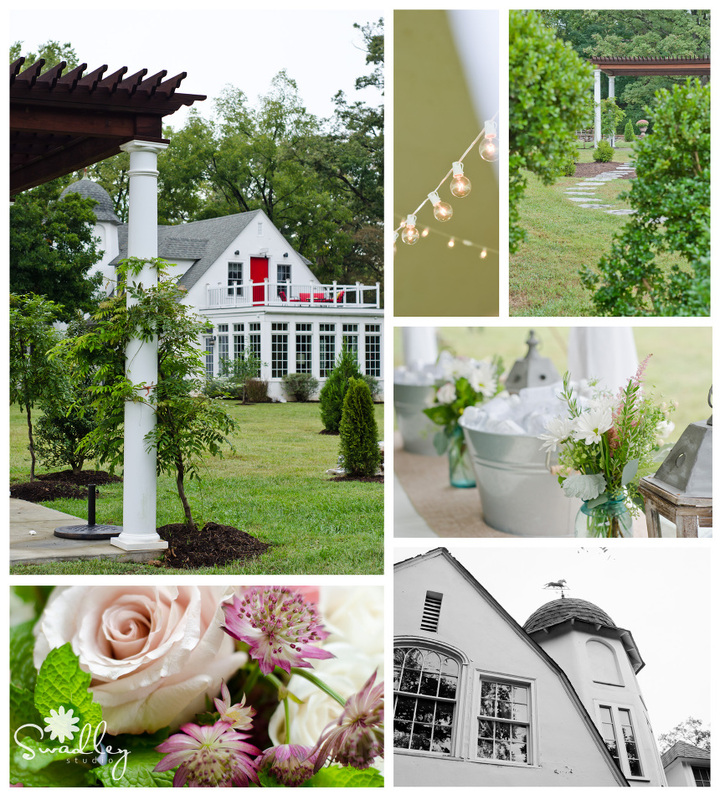 Situated on the most charming, private estate in Boyce, VA, the wedding day may have been gloomy to start, but the skies opened up to a phenomenal sunset to give Adam & Anna the perfect start to their life together. Words don’t do justice for the gorgeousness going on in this wedding, so I’ll let the photography speak for itself! 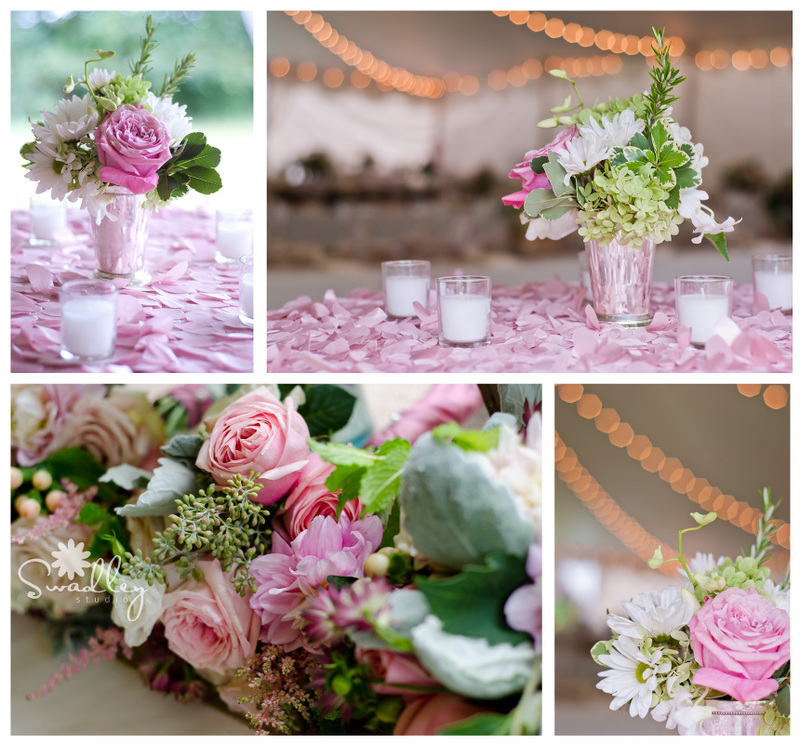 Entertainment/DJ: – DJ David Jefferies/Horizon Entertainment Washington, D.C.
Oh, the florals in this wedding… they were DIVINE!!! 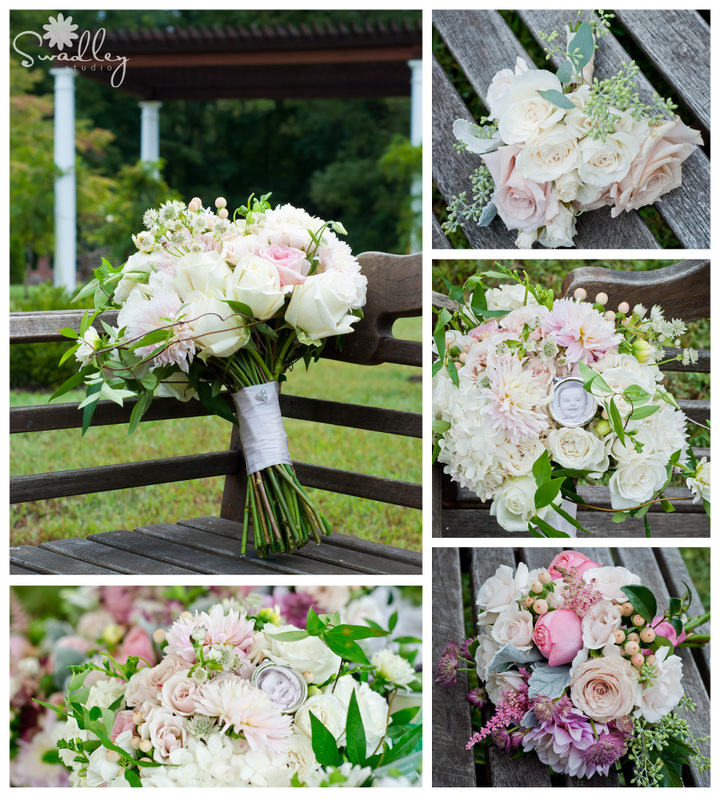 And I’m not usually the “pretty, soft flower” type of person, as I usually go for the more eclectic look, but these were some of the most gorgeous wedding florals I’ve ever seen! Kudos to Tourterelle Floral Design for converting me to the other side, haha! Preparing for the walk down the aisle. How cute are these kids? On that note, though, I have to give major props to Adam & Anna for holding their kiss for awhile so that we could get a decent shot without too many electronic devices in the shot (I know that’s not WHY they held it, of course!). Future couples take note! If you aren’t going for an unplugged wedding ceremony, hold that kiss as long as you can! Anna sent me a Pinterest board of images she liked, and it didn’t include one wedding photograph in it. Instead, it was full of beautiful images of dilapidated buildings and overgrown structures. So, we went down to the barn to find some beauty in the buildings. Purple Onion Catering Company provided one of the best wedding dinners I had this year. Yum!!! During dinner hour, Anna took a break with the wedding planner away from the excitement of the reception. I ran to get another camera battery from our backup stash (for some reason, one of my camera’s batteries overheated and stopped working, so luckily I had backup in the car). On my way back, I noticed the sun was setting making the most beautiful surreal hues blanket the entire area. I pulled Anna away for just a moment and told her to enjoy the moment and twirl in her dress. I know many brides out there have twirled in dresses as a little girl imagining their wedding day. This was her chance to revel in that moment Dreamy, right??? And, while we couldn’t see the sunset from the hillside we were on, we were able to catch a gorgeous view of the skies against the reception tent. I have to say 2015 was the year for gorgeous wedding day sunsets! Here’s Purple Onion Catering Company again blowing me away with a fabulous dessert bar! I really wish we would have indulged in that! At one of her planning meetings, I remember talk of the milk and cookies bar at the end of the night. I didn’t think much of it at the time, but I do recall Anna insisting that she have it no matter what. When I saw it set up before the end of the night, I totally understood the necessity of this addition to her wedding reception. With cold, fresh bottled milk and gourmet cookies from Ted’s Bulletin, this may have been my favorite personal touch to a wedding this year! Thank you to Anna and her wonderful family for hosting such a remarkable event, and to Natalie with A Trendy Wedding in Washington, D.C. for making it all happen! Lori, wow! I am blown away by how beautiful this blog post is of our wedding!! We loved every moment you captured of our big day and seeing this on your website just makes me excited all over again. Adam and I cannot thank you enough for the wonderful images you took of our wedding! You were so great to work with and your work is fantastic! !